194 Beacon is located on the north side of Beacon, between Clarendon and Dartmouth, with 192 Beacon to the east and 196 Beacon to the west. 194 Beacon was built ca. 1862, one of a symmetrical pair of houses (192-194 Beacon). 194 Beacon was built as the home of George Augustus Meyer and his wife, Grace Helen (Parker) Meyer, on land he purchased on April 5, 1861, from the Boston and Roxbury Mill Corporation. They previously had lived at 4 West Cedar. Click here for an index to the deeds for 194 Beacon. George Meyer was a shipping merchant dealing in the East India and Russian trade. George and Grace Meyer’s son, George von Lengerke Meyer, became a member of two presidential cabinets, serving as Postmaster General under Theodore Roosevelt and as Secretary of the Navy under William Howard Taft. George Meyer died in May of 1889 and Grace Meyer died in September of 1900. On September 6, 1901, the Meyers’ unmarried daughter, Heloise, purchased the house from George Meyer’s estate. She lived in Hamilton and leased the house to others. By the 1900-1901 winter season, it was the home of Samuel Hammond and his wife, Grace (Learoyd) Hammond. They had married in November of 1900, and 194 Beacon probably was their first home together. They also maintained a home in Nahant. Samuel Hammond had been associated with Glidden & Curtis, agents for the Pacific Guano Company, and then served as deputy City Tax Collector. He had retired in 1900. On June 22,1911, 194 Beacon was acquired from Heloise Meyer by Eleanor Anne Brune (Shattuck) Whiteside, the widow of Alexander Whiteside, who lived at 192 Beacon. The purchase was made by a trust established under the will of her mother, Anne Henrietta (Brune) Shattuck, wife of George Cheyne Shattuck. The Hammonds continued to live at 194 Beacon dueing the 1920-1921 winter season, but moved thereafter to 193 Beacon. 194 Beacon was not listed in the 1922 and 1923 Blue Books. On April 3, 1923, 194 Beacon was acquired from the heirs of Eleanor Whiteside, who had died in January of 1918, by Martha L. (Lucie Mattie) (Jacobs) Roope, the wife of George Winfield Roope. They previously had lived in Newtonville. They also maintained a home in Hull. George Roope was a wool merchant. Their son, Winfield Harding Roope, became a stage, film, and television actor, performing as Fay Roope. In May of 1923, Martha Roope filed for (and subsequently received) permission to construct a two car garage at the rear of the property. In November of 1926, jewelry valued at $25,000 was stolen from the Roopes’ home. Their butler subsequently was found guilty of the theft. On November 13, 1927, Martha Roope transferred 194 Beacon to the Old Colony Trust Company as trustee for her benefit and the benefit of her husband. At about that time, they moved from 194 Beacon and by 1930 were living in Coral Gables. Florida. 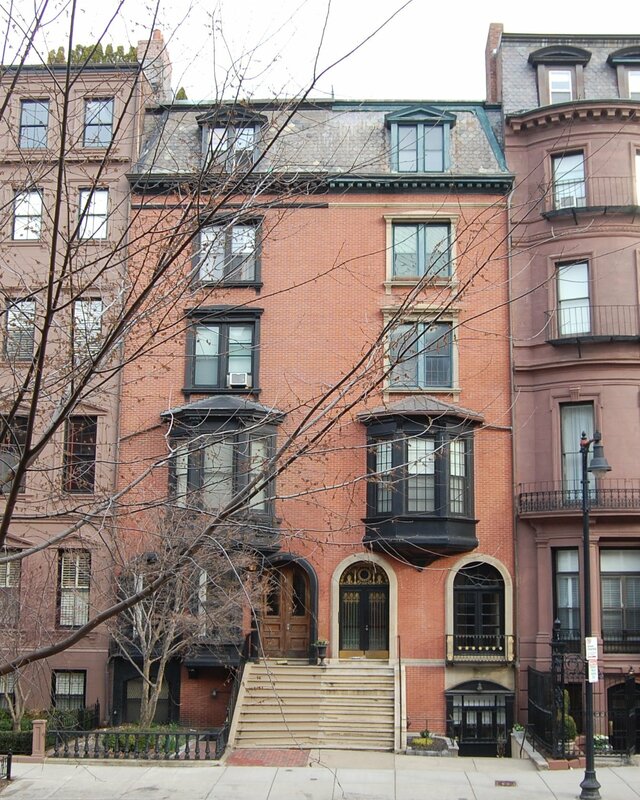 By 1928, 194 Beacon was the Boston home of attorney Frederick William Eaton and his wife, Jennie (Smith) Newman Eaton. They previously had lived at 166 Marlborough. Their primary residence was in Concord. On May 12, 1928, the house was damaged by a fire in the basement. In June of 1928, the Roopes’ son, Winfield Roope, filed for (and subsequently received) permission to repair several windows, doors, and walls damaged by the fire. In 1929, 194 Beacon was the home of Admiral William Sowden Sims and his wife, Anne (Hitchcock) Sims. They previously had lived in Newport. Admiral Sims was former President of the Naval War College. During World War I, he was in command of all US naval forces operating in Europe. His account of the naval effort during the war, The Victory at Sea, won the Pulitzer Prize in 1921. The Simses had moved to 26 Brimmer by 1930, and to 104 Marlborough by 1931. 194 Beacon was shown as vacant in the 1930 City Directory. During the 1930-1931 winter season, it was the home of publisher Henry Cannon Clark and his wife, Mary Lovering (Head) Russell Clark. They Previously had lived at 321 Commonwealth. They also maintained a home in Prides Crossing. By the 1931-1932 season, they were living at 142 Chestnut. 194 Beacon was not listed in the 1932-1933 Blue Books and was shown as vacant in the 1932-1933 City Directories. By 1934, it was the home of Mrs. Mary Ann (Sullivan) Keyes, widow of Richard E. Keyes, who had been a printer. Their unmarried children lived with her: Edwin J. Keyes, a pharmacist, Frances G. Keyes, Louise C. Keyes, and Ruth F. Keyes. The three Keyes sisters all were teachers. They had lived at 425 Beacon in 1933. Mary Keyes and Edwin Keyes both died in October of 1936. Ruth Keyes probably also died that year. Frances and Louise Keyes continued to live at 194 Beacon in 1939, but had moved to the Hotel Vendôme by 1940. George Roope died in December of 1937, and on September 5, 1939, Martha Roope terminated the trust with the Old Colony Trust Company and took possession of 194 Beacon. By 1940, 194 Beacon was occupied as a lodging house. On August 27, 1942, the Provident Institution for Savings in the Town of Boston foreclosed on its mortgage to Margaret Roope and took possession of 194 Beacon. 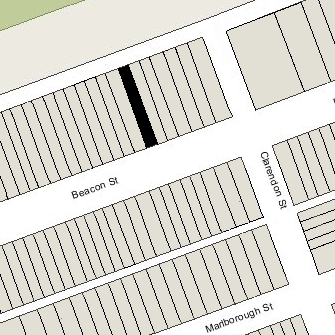 In September of 1942, William Arthur Dupee, treasurer of the Provident Institute for Savings, filed for (and subsequently received) permission to convert 194 Beacon from a single-family dwelling into a lodging house, legalizing the existing use. On November 12, 1942, 194 Beacon was acquired from the Provident Institution for Savings by Thomas Joseph Stanton, an accountant, and his wife, Helene Margaret (Stadtmann) Stanton. They operated it as a lodging house. They previously had lived in Winchester. They continued to live at 194 Beacon until about 1946. By 1951, they were living in Middletown, Connecticut. On June 5, 1946, 194 Beacon was purchased from the Stantons by Albert Patrick Hill and his wife, Gladys Gertrude (MacDonald) Hill. They previously had lived in Newton. He was treasurer and later president and chairman of the Board of the Hibernia Savings Bank. They continued to live at 194 Beacon until about 1949, when they moved to 4 West Cedar. On November 30, 1949, 194 Beacon was purchased from the Hills by Catherine Geraldine (Sullivan) Hanley, the widow of Francis M. Hanley. She was a legal secretary and probably held the property for someone else. On November 28. 1951, 194 Beacon was acquired from Geraldine Hanley by Miss Marion S. Hodgdon, a real estate dealer, who lived in an apartment at 375 Marlborough. In September of 1952, she filed for (and subsequently received) permission to legalize the occupancy of 194 Beacon as five apartments, indicating that the house was occupied as such when she purchased it. The property changed hands and on December 10, 1971, was acquired from Robert G. Ward. 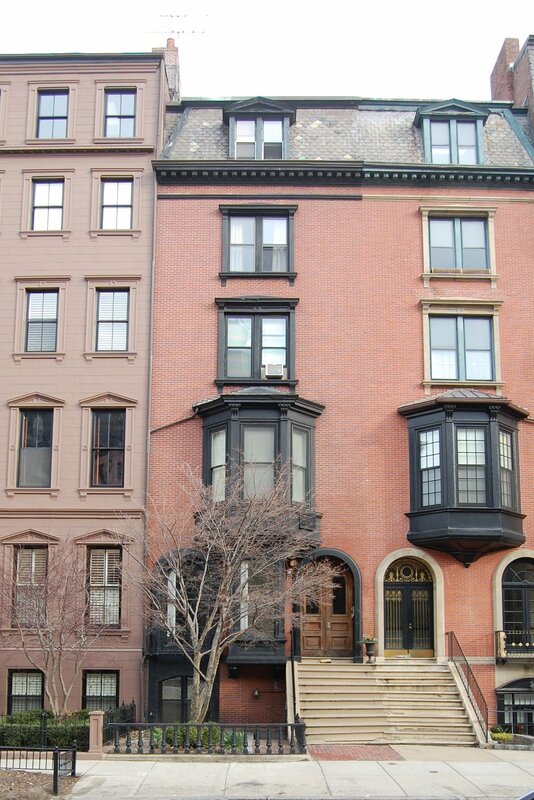 On June 28, 1974, he converted the property into five condominium units, the 194 Beacon Street Condominium.